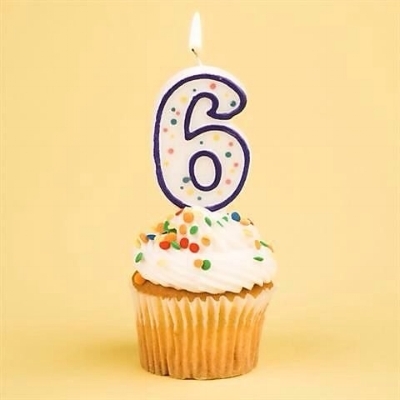 It was six years ago today that Hye Fashion opened our doors at our first location! We're not doing much to celebrate …unless enjoying a K-cup while completing month-end paperwork counts as a celebration…but we didn't want to let the day go by without some sort of acknowledgement! Six years…wow! Back in 2010 we started with a humble staff of three part-time Stylists and 1,000 square feet comprised of seven brands of ‘Clothing for TALL women, accessories for ALL women’. Thanks to you, we’ve grown our family to over 2,600 loyal and valued Hye Fashionistas, have a fabulous team of two full-time and four part-time Stylists, and have moved to our beautiful new 1,500 square foot space, which we LOVE (...thank you for your positive feedback on our new home)!! We've realized ‘You don't need to be tall to shop here, but you can be’ so we've honed our inventory and have over 20 brands that provide contemporary 'Style for every height'! We are truly humbled by your loyalty and your support! We get our greatest satisfaction from seeing you love how you feel because you love how you look! When you tell us about a compliment you received while wearing your latest Hye Fashion outfit to a wedding, we hear you got the job we helped you pick your interview ensemble for, or we see your shining smile while you model your latest Hye Fashion finds in your family photos, that’s when we know we’ve done our job right…and we still can’t believe how much fun we have doing it! Six years later, we’re proud to say we're still providing premiere service to our valued Clients, still supporting Canadian brands, still offering at least sizes 4-22, still working hard to bring in reasonably-priced, high-quality clothing, still focusing on contemporary, wearable style for every height, and still absolutely loving what we do! Your enthusiasm and excitement for Hye Fashion is what keeps us motivated to be better everyday. And we’re not planning to stop anytime soon! So thank you, thank you, THANK YOU for making our dream a reality! Thank you for allowing us to truly enjoy our work. Thank you for liking and commenting on our Facebook page. Thank you for telling a friend or stranger to go to Hye Fashion because that helps us grow and get even better for you. Thank you for shopping at Hye Fashion, whether you’ve been in only once, or if you visit once every two weeks! Thank you!! So here’s to the next six years Hye Fashionistas, and here’s to YOU!! Posted on July 5, 2016 by Hye Fashion.